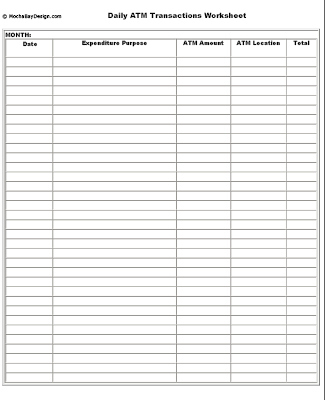 Use to keep track of your daily ATM usage by date, amount, location, total. Need a State Specific Legal Form? If you're not finding a standard form you need, click here to print over 50,000 forms at US Legal Forms.